The Fujifilm X-T1 has generated a lot of expectations among users in recent months, since it was presented last January. The company also presented several accessories with the camera, most notably a desirable upright grip that can house an additional battery. However, Fuji still has several aces up their sleeves. Which at the moment is the most ambitious CSC camera of the company (the X-Pro 1 is also great, don’t misunderstand) just received no less than five new accessories: two MHG-XT grips, one large and one small, designed to make it easier and more comfortable to use and not impede access to the battery compartment; a hand strap, the GB- 001; an extender, the EC-XTL and a kit of cases and bags, the CVR-XT. In the gallery you will find at the end of this post you can take a look at various photos of all these accessories. However, the X-T1 is not the only Fujifilm camera that has increased its repertoire of accessories. The X100 and X100S, two excellent cameras with fixed lens now have a new conversion lens, the TCL-X100. This lens changes the focal length of both cameras by a factor of 1.4, so its lens goes from 23 mm (equivalent to 35 mm in 35 mm) to 33 mm (equivalent to 50 mm in 35 mm). 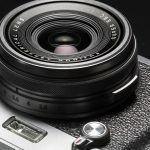 According to Fujifilm, the designers of this conversion lens also designed the lenses of the X100 and X100S, so we expect an excellent performance. You can find a few pictures in the gallery below. Previous Canon EOS 60d vs 70D Comparison, What’s the difference?